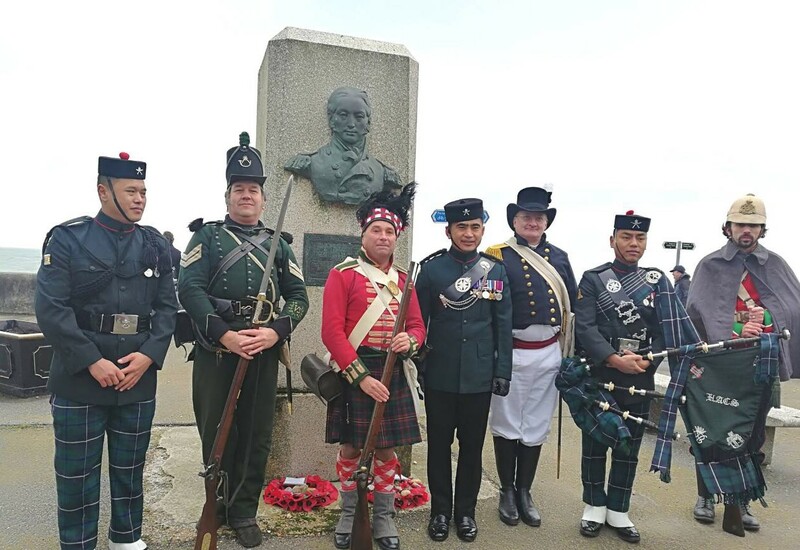 On the 13th January 2018, the death of a local hero, General Sir John Moore was commemorated with a wreath laying ceremony at his Memorial on Sandgate Esplanade. Lieutenant-General Sir John Moore, KB, (13th November 1761 – 16th January 1809) was a British soldier and General, also known as Moore of Corunna. He is best known for his military training reforms and for his death at the Battle of Corunna, in which he repulsed a French Army under Marshal Soult during the Peninsular War. After the war General Sarrazin wrote a French history of the battle, which nonetheless may have been written in light of subsequent events, stating that “Whatever Buonaparte may assert, Soult was most certainly repulsed at Corunna; and the English gained a defensive victory, though dearly purchased with the loss of their brave general Moore, who was alike distinguished for his private virtues, and his military talents”. The Battle of Corunna took place on 16th January 1809, when a French corps under Marshal of the Empire Nicolas Jean de Dieu Soult attacked a British army under Lieutenant-General Sir John Moore. The battle took place amidst the Peninsular War, which was a part of the wider Napoleonic Wars. It was a result of a French campaign, led by Napoleon, which had defeated the Spanish armies and caused the British army to withdraw to the coast following an unsuccessful attempt by Moore to attack Soult’s corps and divert the French Army. 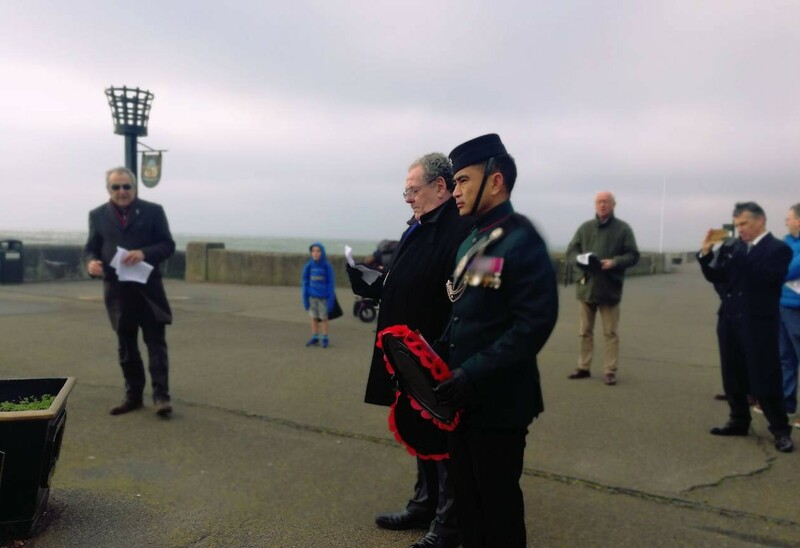 The event was honoured by the Town Mayor of Folkestone’s Councillor Roger West, Gurkha Major 1 Royal Gurkha Rifles, Shureshkumar Thapa MVO and local community organisations. The attendees also enjoyed a guided tour exhibition at the Gurkha Visiting Centre which is open to all visitors should you be in the area.